The model is run four times a day: 00Z, 06Z, 12Z, and 18Z. 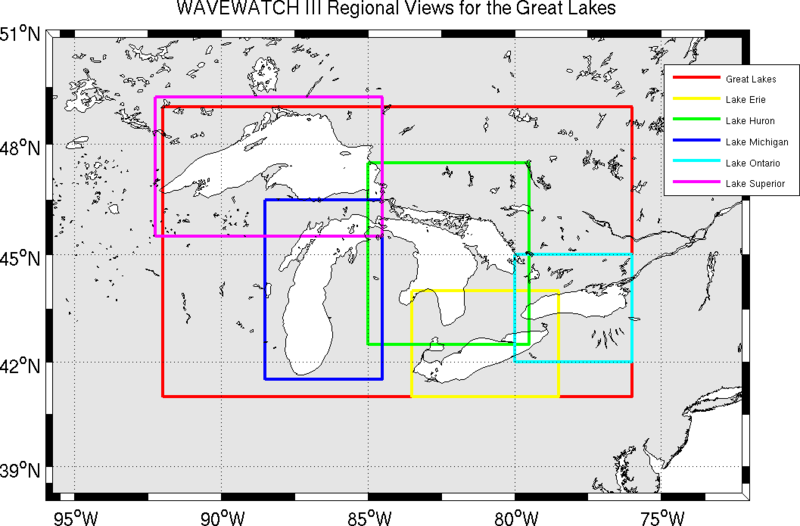 Each run starts with 9-, 6- and 3-hour hindcasts and produces forecasts of every 3 hours from the initial time out to 84 hours. 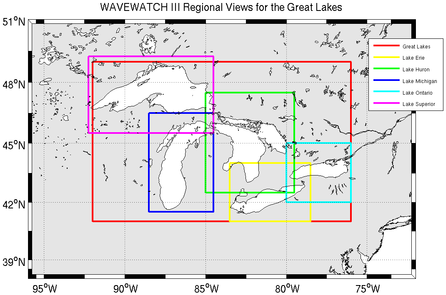 The Great Lakes wave model consists of a single unstructured grid. As background information, a list of selected references and a chronological list of model changes are available.